The training delivered by UCLL focused on qualitative data analysis methodologies and on the conduction of video interviews. 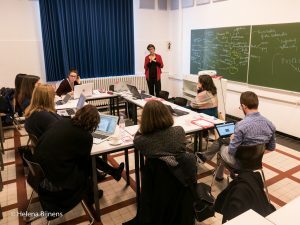 Study visits also took place in the city of Leuven and in social enterprises and synergies with similar projects were explored. Last but not least, the next steps of the unfolding of the project were agreed between the representatives of all InnoVal partner organisations. Partners reached a common understanding about key terms of the project such as the specific target groups (migrants/refugees, low qualified adults, long-term unemployed, early school leavers) and about the methodology to be followed during the selection of innovative, non-traditional assessment methods. 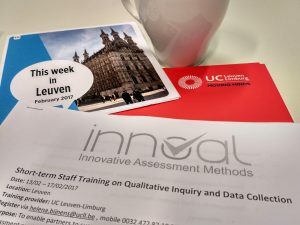 Participants from all InnoVal partner organisations acquired practical knowledge that will help them identify the best practices regarding the implementation of innovative assessment methods across Europe. They will reach out to relevant organisations active in the field of validation in their respective countries and conduct interviews in order to analyse the potentially transferable elements of the selected initiatives. A Toolkit of the selected practices will be then developed and published that will act as a crucial database for validation stakeholders and decision-makers. 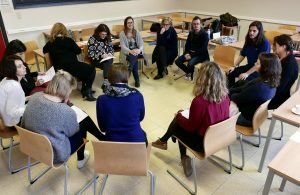 The Toolkit and the videos will constitute the basis of the Training Programme targeted at validation practitioners that will be later developed and tested through piloting sessions in 5 different EU countries. 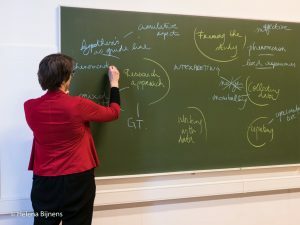 Global Validation Prize 2019 – Apply now!